The second Sunday in September remains a special day in the calendar of Irish sport, as the Liberty Insurance All-Ireland Camogie Championships finals take place this afternoon. Female sport has undergone a significant sea change in attitudes over the last five years. At Liberty Insurance we have taken enormous pride in seeing a new generation of female sporting heroes emerge into the public's consciousness and become household names up and down the country. We are proud of the contribution we have made to encourage this change in attitudes and provide a platform for this emerging generation of highly ambitious female athletes. Over the next three years we will work with the Camogie Association to further raise the profile of the sport and drive participation rates across the country. Last year, finals day saw over 20,000 supporters descend on Croke Park for camogie's mammoth battles and a further 374,000 viewers tune in to watch it on RTÉ. This represented a 25 per cent increase in attendance and a 23 per cent increase in TV audiences on the same fixture only two years ago. In short, camogie is in rude health right now and audiences are tuning in like never before. Supporting the promotion of women in sport, advancing the cause of female athletes, assisting in their preparation for participation on the national and international stage, be it in a sporting or leadership capacity, is really important for broader societal gain. As role models in the community, the passion of each of these camogie players will inspire girls and young women to take up and play sport, thus ensuring a lasting legacy for generations to come. However, our research over the last number of years has consistently validated the alarming drop-off in participation rates of young girls playing sport. This was an important factor for us in launching our 'Camogie Made Me Ready for the Real World' campaign. Colette Dormer (Kilkenny), Gemma O'Connor (Cork), Mags D'Arcy (Wexford) and Michaela Morkan (Offaly) feature in a series of videos showcasing how the skills gained on the camogie pitch can be applied off the field in other aspects of their lives. It has been another exceptional year for women in sport. Who will ever forget the exploits of the Irish women's hockey team in the summer of 2018? Or the notable achievements of our brand ambassadors too, led by Annalise Murphy in completing the Volvo Ocean Race; Mags D'Arcy and her role with Davy Fitzgerald's Wexford hurling management team; Natalya Coyle securing her highest ever world ranking; and Fiona Coghlan continuing to be one of the country's leading rugby commentators and media analysts. 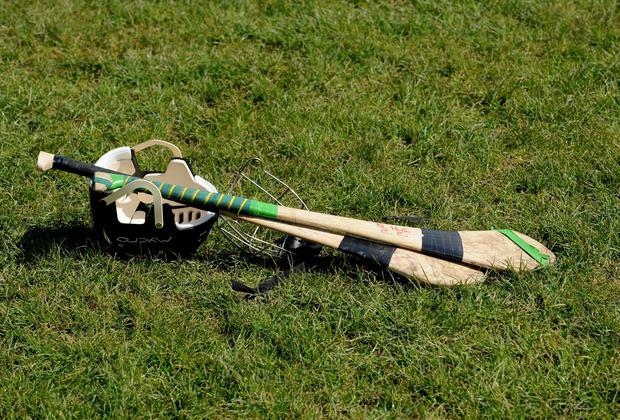 This afternoon in Croke Park the camogie clubs of Newmarket-on-Fergus from Clare and Sarsfields in Cork will take to the pitch in an effort to win a great prize for their club. This is the culmination of our 'Camogie Made Me Ready for the Real World' campaign, where we called on clubs to tell us how camogie gave players and teams skills for life. The winner will take home €7,000 with the runner-up receiving €3,000 - so be sure to support them both in their endeavours. Finally, road safety is very important to Liberty Insurance. If you're travelling to Croke Park today, win, lose or draw please be safe on your journey home.